Acharya Nagarjuna University (ANU) UG 1st, 2nd Year Supply March 2017 Exams Results are going to be declared for B.A, B.Com, B.Sc, BBA soon on its official website anu.ac.in or manabadi.co.in or http://www.nagarjunauniversity.ac.in. The candidates who are waiting for results, now the waiting time is over, the results are available soon and you can check from the official linked provided here. 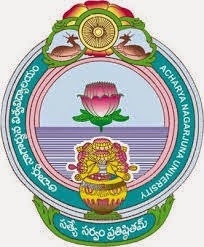 Nagarjuna University is going to declare degree1st, 2nd year supply results soon. Candidates can check the results from the direct link provided below.